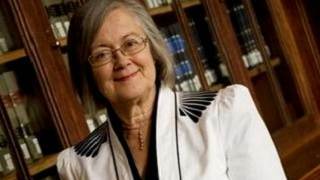 Baroness Hale, the Deputy President of the UK Supreme Court, has used a speech at the prestigious Yale Law School to highlight the problems faced by Christians in England as a result of recent legislation. She went on to question whether the current framework, based on EU anti-discrimination law, has a long-term future. The presentation featured extensive discussion of a number of recent, high profile cases involving Christians, including those of Christian Legal Centre clients Shirley Chaplin, Gary McFarlane and Celestina Mba. Nurse Shirley Chaplin and relationships counsellor Gary McFarlane were amongst four UK Christians whose cases were heard by the European Court of Human Rights in September 2012. Baroness Hale recognised the significance of the Court’s judgment in challenging an overly restrictive understanding of ‘freedom of religion’ as presented by the British government. Lady Hale’s comments came just days before a speech in the House of Commons by the President of the Supreme Court, Lord Neuberger, in which he raised concerns over the risk of a growing ‘censoriousness about what views people can publicly air’. “For several years, with your support, we have stood with those who have suffered unnecessarily as a result of recent anti-discrimination legislation and sought to expose the incoherency, instability and unfairness of the ‘equalities’ framework. So it is very encouraging to hear one of the most senior judges in the country raising these concerns. “It is striking that as a result of cases brought by the Christian Legal Centre, these issues cannot now be avoided in academic, judicial and Parliamentary circles. Let’s remember that it was Paul Diamond, Standing Counsel to the Christian Legal Centre, who was arguing for Reasonable Accommodation a decade ago in the case of Stephen Copsey. “There is still a long way to go if proper freedoms are to be upheld for all and we need concrete action from political, judicial and church leaders but we are thankful to God for progress that is being made."